In this Photoshop text effects tutorial, we'll learn how to create a popular, classic effect by giving text a perspective shadow as if a light source behind the text was casting a shadow onto the ground in front of it. 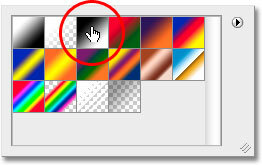 I'll be using Photoshop CS5 throughout this tutorial, but any recent version will work. 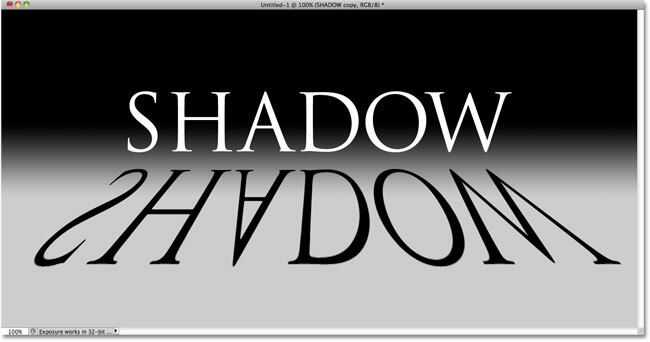 The final "perspective shadow" text effect. The text appears on its own layer above the background. Drag the copied text layer between the original and the Background layer. Choose Flip Vertical from the menu. The image after flipping the text vertically. 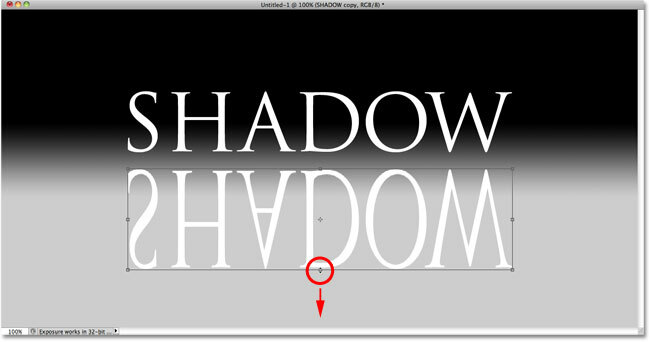 Hold Shift and drag the flipped text below the original. 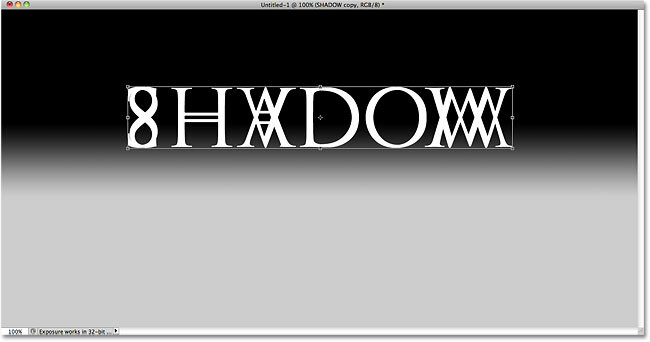 Stretch the text by dragging the bottom center handle straight down. Choose Perspective from the Transform options. As you drag one bottom corner handle outward, the other moves in the opposite direction. Fill the transformed text with black. Apply a small amount of blurring to the shadow. Make a copy of the shadow layer. The layer visibility icon temporarily turns layers on and off in the document. Use a larger Radius value this time to add stronger blurring. The image after adding more blurring to the second shadow layer. Click on the thumbnail for the black-to-white gradient. Click at the top of the shadow, hold Shift, drag down and release your mouse button at the bottom of the shadow. 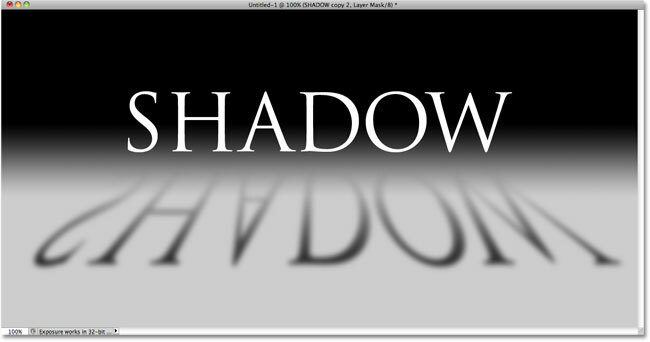 The gradient on the layer mask controls the transparency of the shadow. Turn the original shadow layer back on. The Alt (Win) / Option (Mac) key tells Photoshop to make a copy of the mask as you drag it. The layer mask thumbnail now shows a white-to-black gradient instead of black-to-white. The image after inverting the layer mask. Select the top shadow layer, then lower its opacity to 60%.